Dr Prabhakaran is Executive Director of the Centre for Chronic Disease Control in New Delhi, India. Program Director for the Fogarty International centre Public Health Foundation of India (PHFI), New Delhi. He has worked to establish CCDC as a leading centre for research in non communicable diseases with a strong emphasis on fundamental, translational and clinical research involving Cardiovascular diseases, diabetes and cancer. He is a cardiologist and epidemiologist by training. Till recently he was the Additional Professor of Cardiology at the All India Institute of Medical Sciences (AIIMS), New Delhi. He received his MD (Medicine) and DM (Cardiology) degrees from AIIMS. He has done MSc in Health Research Methodology from McMaster University, Canada and has a career commitment to preventive cardiology. He has been involved in several major international and national research studies including the INTERHEART Study, the CREATE Trial, Indian Council of Medical Research commissioned national case-control study on Acute myocardial infarction, British Heart Foundation funded projects on low birth weight and migrant Gujaratis, Wellcome trust funded impact of intra-country migration on CHD, the NIH sponsored STICH trial and the India Health Study. In addition, he is involved with many community based prevention programmes. He has recently been awarded the prestigious NHLBI-Ovations Grant. 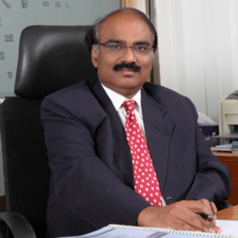 He is Member of various national and international organizations like Scientific Council of the Section on Epidemiology and Prevention of the World Heart Federation, Cardiological Society of India, Association of Physicians of India, Indian Council of Medical Research’s Project Review Committee on Cardiology and Indian Council of Medical Research’s Advisory Committee on Hypertension.